I have a lot of cookery books. I realised that again when Dom at Belleau Kitchen published this month's random recipe challenge, and asked us to turn to the 40th page of our 40th book and make whatever was on that page. My recipe books are in alphabetical order - thanks to my boyfriend when he was bored on evening - and I counted along; when I got to 40 I was still only as far as the letter E! The book in question was Easy Cupcakes from Marks & Spencer and on page 40 were Queen Cupcakes. I'd never heard of them before and there was no explanation for the name; they seem to be simple cupcakes baked with currants. However, I had some blueberries in the fridge that needed using up - and I don't like blueberries on their own - so I thought Dom wouldn't mind if I adapted the recipe a bit! This is a very simple recipe. Preheat the oven to 180C. Cream the butter and sugar in a bowl them mix in the eggs. Add the lemon juice, mix in the flour, with a dash of milk to loosen the batter, then fold in the blueberries. Spoon into muffin cases and bake in the oven for about 15 minutes. The recipe for the Queen Cakes does not involve any icing or decoration and as I decided to take these to a volunteering day I was doing with colleagues, I thought that would work well- I needed something that I could transport in a box in my rucksack that wouldn't be too messy. The cakes had a muffin-like texture and went down very well when we had a break in a hard day's work - we were building a cob oven and an irrigation system in a community garden. It was great fun! I'm sending these to Random Recipes, hosted by Dom at Belleau Kitchen. 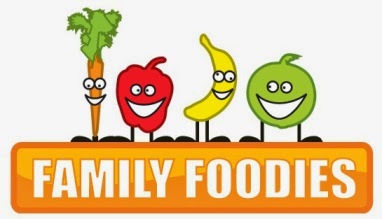 Family Foodies, hosted by Louisa at Eat Your Veg and Vanesther at Bangers and Mash, has as a theme this month barbecues, picnics and outdoor eating. These cakes or muffins are so easy to eat outdoors with no mess; they travel well and taste great too! Ness at Jibber Jabber UK is looking for vintage cake recipes this month. Queen cakes are - from what I can find out - a very traditional old-fashioned kind of cake so I think that counts! 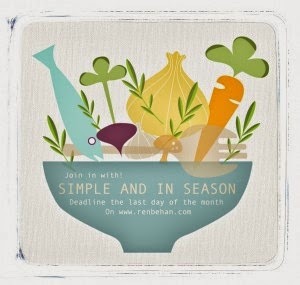 Blueberries are in season so I'm sending this to Simple and in Season, hosted by Ren Behan. I am also sending this to Chris at Cooking Around The World - he has an exciting blog challenge relating to the world cup. England are playing today and my Queen Cakes are quintessentially British. Blueberries, cupcakes? What is there that is not to like. Lovely cupcakes and thanks for adding up your post for the greatest Bloggers Around the World challenge of all times. I always love what comes up as a result of random recipes...... and sometimes the simplest recipes (the ones which we skim over when we flick through books) are the best! These cupcakes look great, especially with the addition of the blueberries. Always handy to a simple recipe to turn to. That's why they last the test the time! Thanks for linking up again to this month's Love Cake.